I'm sure you already know that the hobby market is huge. People spend money on their hobbies like you wouldn't believe - whether it's buying books to learn more about it or purchasing products and accessories to make their hobby more interesting, rewarding or fun. 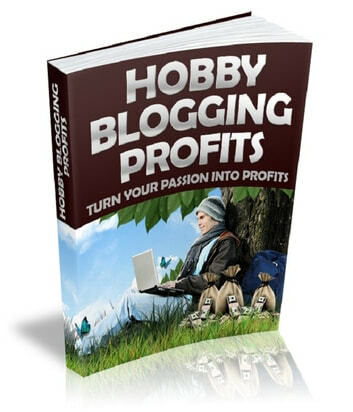 Wouldn't it be great to blog about something you love... AND make money while you do it? Well, it's very possible - and inside 'Hobby Blogging Profits' I'll show you how you can do it. A-Z List Building! Build Your Own Profitable List! Money On Tap!